New construction, 1,670 sq ft two story home in The Pines by The Tracy Group! Oakmont Model. 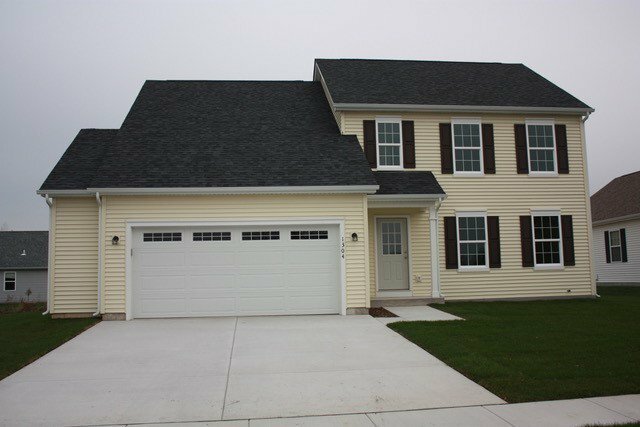 Four bedrooms, two and a half bathrooms, full basement and a two & a quarter garage. Lots of living space! PLUS a main floor family room. Great location, easy access to Hwy 12 and I-43. Home is under construction and can be completed in 45 days. Buyer able to choose finishing touches. Own a quality new home for less than the cost of rent!! Additional lots and home plans are available. Call today for details.